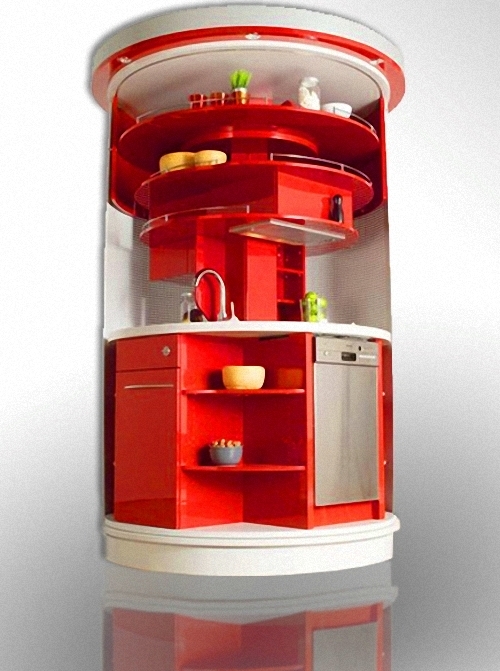 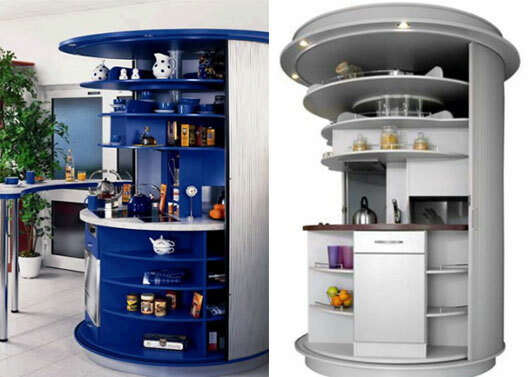 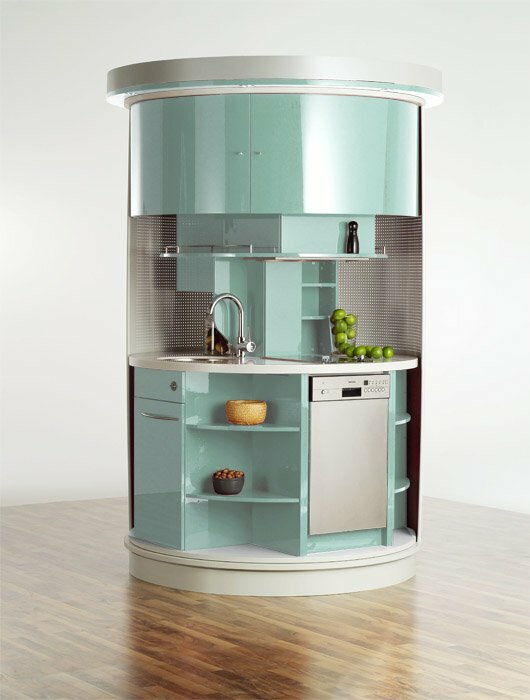 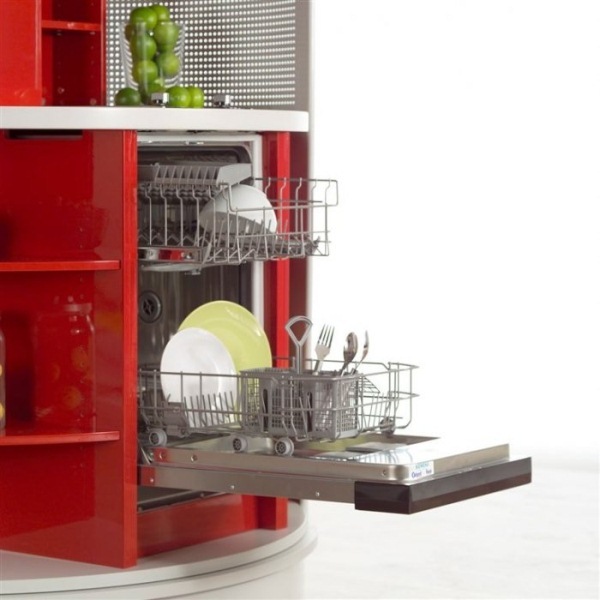 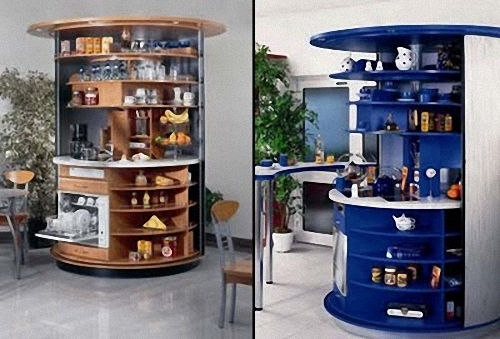 Award Winning All in One Rotating Circle Kitchen by Compact Concepts. 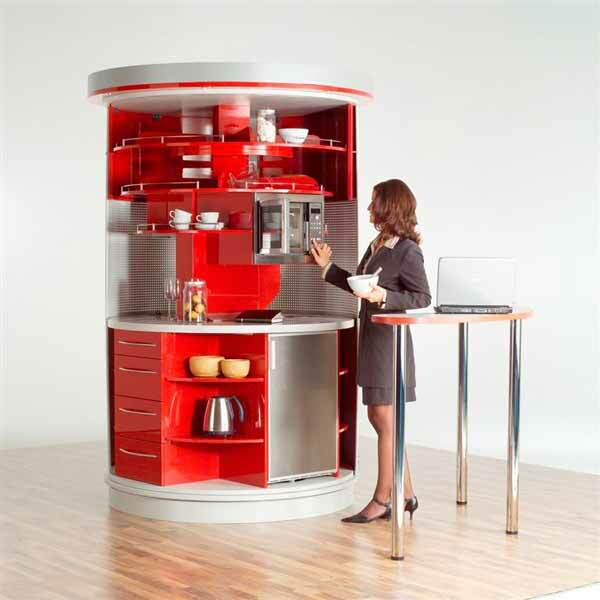 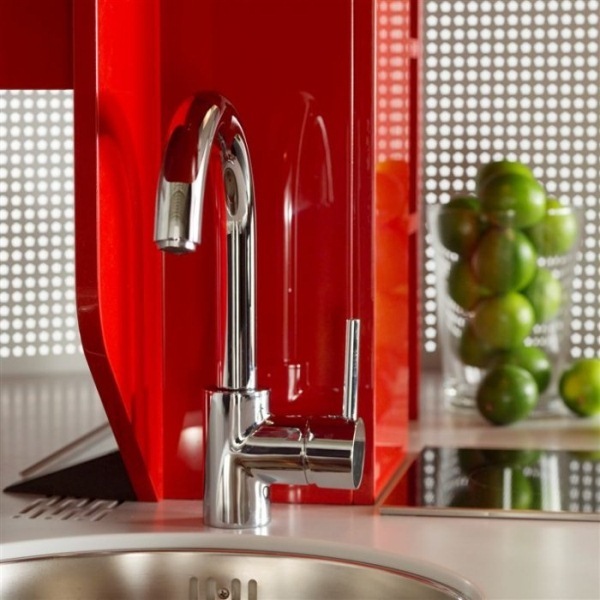 The innovative kitchen is revolves to save space, and is concealed by siding doors. 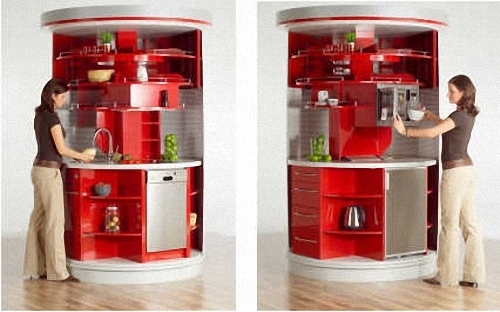 The foot print is 1.8 square metres and it has complete built-in facilities of fully functional kitchen. 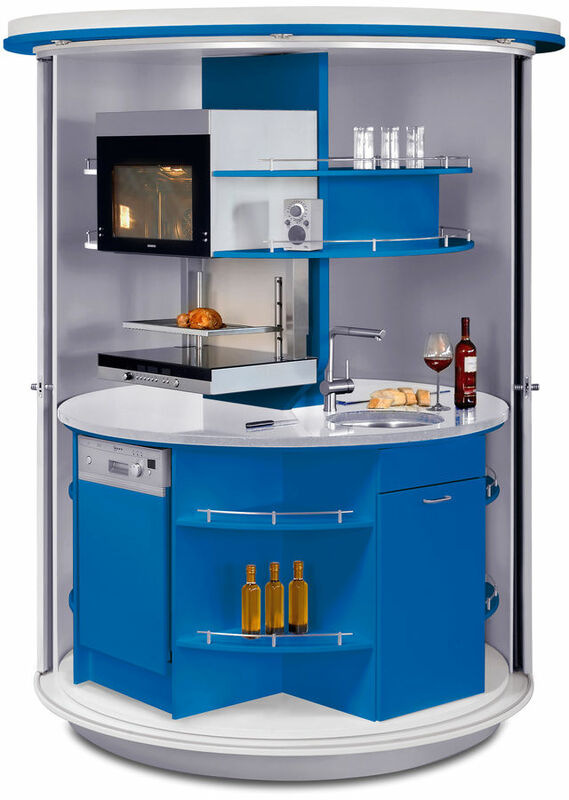 "The revolving concept‚ original Circle®‘ offers intelligent kitchen comfort compressed into the smallest space but with a storage capacity equivalent to 12 cupboards and a bench top length of approx. 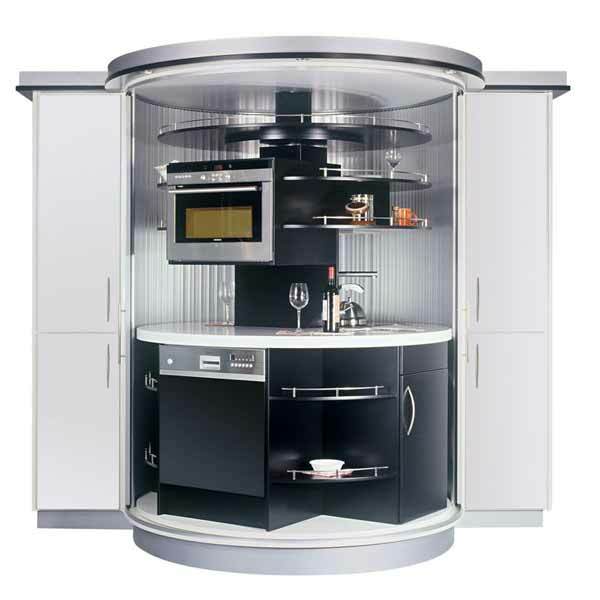 3000 mm, equipped with refrigerator, dishwasher, ceramic hob, oven with microwave, range hood, sink and waste bin as a conventional kitchen"
Circle Kitchen has many color finishes to suit the environment. 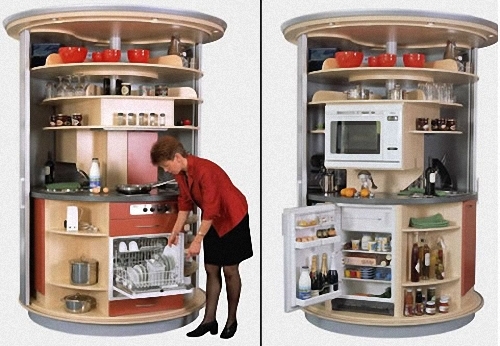 There is also a larger version flanked by full height double cupboards.